Time to start whistling while you click! If you go back and forth between the newspaper and Today's Activities, you will see an ad in the top slot of the right-hand column (see below for an image). Click "Play Game" to start the game! Look for the ad and you will have 3 chances to win each time you play. Take your pickaxe and click on the rocks. According to information from Ganz Customer Service, the promotion will run until Sunday, October 18th. Prizes include: Purple Dwarf Hat, Snow White Dress, Dwarf Shoes, Gooseberry Pie, Green Dwarf Costume, Enchanted Mirror, Diamond Apple, 100 KinzCash and an Apple. It looks like you can play an unlimited number of times, so keep clicking back and forth and get as many free items as you can! A tip for those trying to rack up the items as quickly as possible -- You don't need to wait for the rock to finish "opening" to get the item, just click the "X" on the rock window and choose the next rock to open! If you are not seeing these ads, please check to see if you turned off your ads in Webkinz World. Me and My Pets, your options. UPDATE (Wed, 7:46am Eastern) : The ad is currently showing, but is now in the smaller ads on the right column, always in the top ad slot. It is still appearing very frequently so keep on clicking back and forth between "Newspaper" and "Daily Activities"! Two ads show in the column, usually in the "Newspaper" section. The one on the right in the picture below is the one you need to click to play the game. Too cool! I am so excited! I found it in the today's activities section. 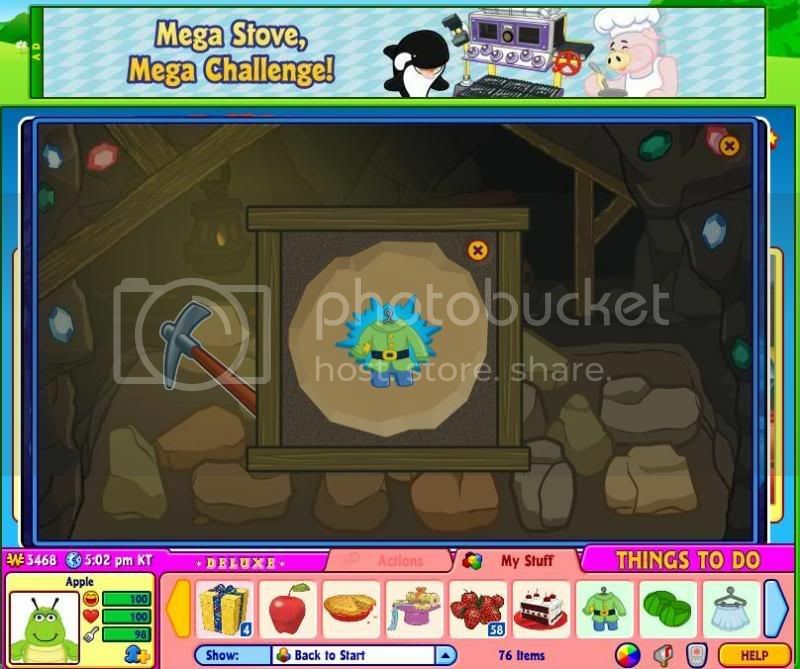 Re: Clickable Snow White Ads in Webkinz World for Free Items for Limited Time!! They must have partnered with disney......or has the copyright on snow white expired? Way cool, and I', going to try to get the dress. That looks really neat; I can't wait to try it!